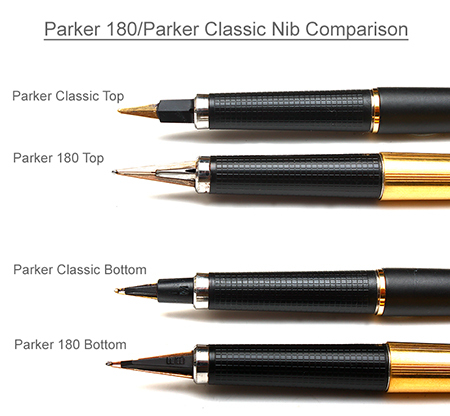 The Parker 180 was launched in 1977 and featured a radical new nib that was usable either on the top side or the bottom side, hence the name "180" to indicate that it could be turned through 180 degrees in use. This also allowed the use of two different nib sizes on one pen, for example Fine on one side and Broad on the other or Extra Fine and Medium. Available in many finishes, including Laque (glossy lacquered colours such as Malachite (green), Lapis Lazula (blue), Tortoiseshell as well as metal finishes including the Plas Vendome finishes such as Grain d'Orge (barleycorn) and Ecosse (tartan). The slim size and elegant lines made it popular amongst women, but not so popular with men, whilst the narrow dimensions also made the pen a little fussy as to what ink converters would fit inside it. Another feature of the 180 was the slightly lipped "winged" tassie on the barrel which was designed to clip into the inside of the cap when the pen was "posted" to help reduce scratching to the pen surface finish. 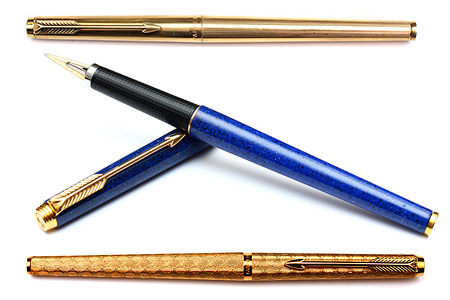 The clip was held in place with a clip screw, both of which are similar to the ones used on the Parker 75 and earlier versions came with a 14k gold nib. 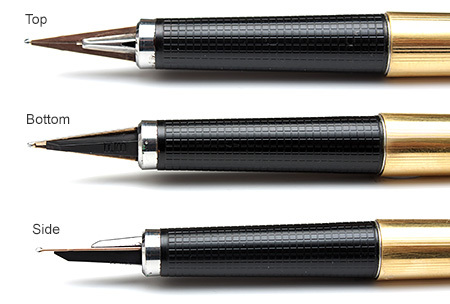 In 1983 Parker decided to reduce production costs and simplified the colours and designs available as well as replacing the nib with a stainless steel one. 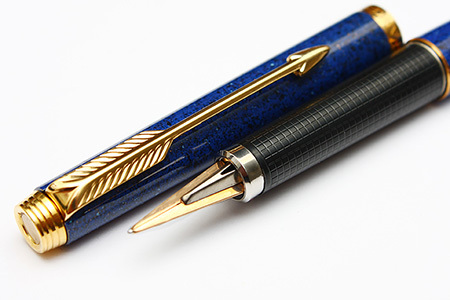 The 180 was finally discontinued in 1985 although in 1986 Parker released their "Classic" fountain pen which featured the textured grip and a similar long nib as well as the long textured grip section.